There was time when the hidden object games featured only what they were called - the hiden object searches with several mini-games. Only a few would stand out with their interactive parts. Then many games began to use more and more of the interactive adventure parts together with the searches. Now more and more games use only a few hidden object levels in thmostly adventure-based games. Nightmare on the Pacific is one of those games that balance these two parts in a very good way. You join a family on a cruise. The Brooks were enjoying the family vacation on a Neptune cruise before it was hit by a hurricane. After that you are mostly attached to the mother. She got separated from her husband and two children. She refuses to leave the ship without her family, and that's where the journey begins for her and you. She wants to find all of the family members before the ships becoms the ocean's property forever. 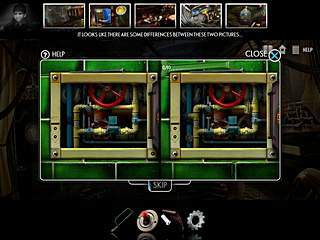 You rescue them by going through a number of hidden object searches and solving all kinds of familiar puzzles. 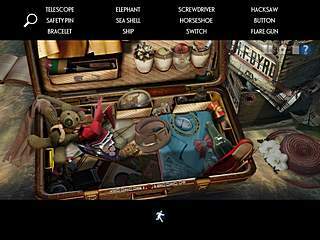 The hidden object levels follow the classic scenario when you get a list of items to find on a clattered scene. Then there is also a number of small puzzles to solve. All of them are familiar, like jigsaw puzzles. Sometimes you will have to make some machines work by replacing the not-working parts. Every hidden object scene will leave you with one item that can be used somewhere else in the game. It is not always clear as to what to do next or where to go since the ship is pretty big. And some of the items don't seem very obvious as to where to be used. But just take your time and try to look at things from different angles. As to the audio-visual presentation of the game, it is pretty goo. The graphics are attractive in the way they depict the ship's different rooms and halls. 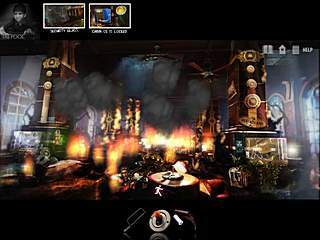 The game features the complete voice acting throughout the game. I would lie to say that it's the best that you can get, but it is still on a rather decent level. All of that creates the atmosphere that you would a expect from a story like that. And that atmosphere is kept through the whole game. But don't expect the whole game to take too much time, especially if you are an experienced player. The trial version of the game is always a good thing to make up your mind about a game. This is Nightmare on the Pacific review. Download this game here.